If exploring natural environments and traditional cultures are up your alley, this book is for you. You will feel like thanking two energetic young people who, with sensibility – not just the pull of adventure or business – made the effort to reveal and honor a unique, small part of the world. 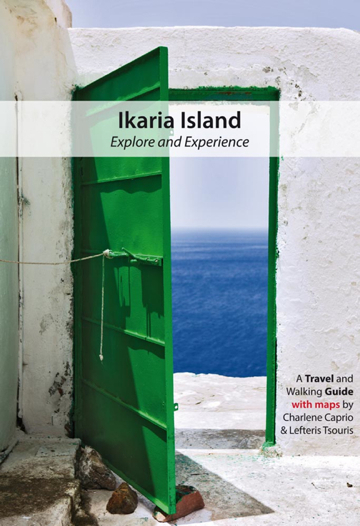 The authors of the Ikaria Island guidebook form an energetic team for showcasing this place of extraordinary human longevity and back to nature living. Charlene Caprio, whose work and interests spread across environmental and energy law, writing and Greek culture, lived a year deep in the mountains on Ikaria. 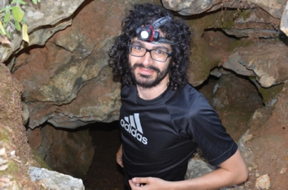 Lefteris Tsouris is a Greek cartographer who maps mountain areas and especially walking paths throughout Greece. I found the book to be an unusual, original kind of guidebook. There is no generic “tourist” tone. There is no hype, but a sincere presentation of the facts and highlights of the island with clear insights. The book is well organized, with many photos and maps. What is special about Ikaria Island is that many of its villages, attractions and natural settings are “hidden” inside the island’s mountains and folds. The authors draw back the curtains to reveal them. Culture Change: Why did you select Ikaria to make a guidebook and draw the world's attention to this lesser-known island? Charlene Caprio: I don’t think I selected Ikaria; it selected me. 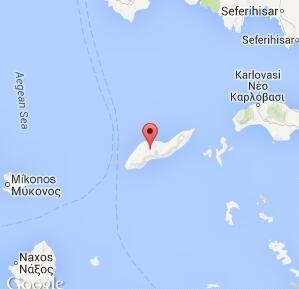 About five years ago I fell onto this island by chance (perhaps similar to mythological Icarus! ), knowing very little about it. I lived deep in its mountains and came to intimately know the place. I soon understood that Ikaria, by the luck of its geography and history, preserved an extremely diverse environment with mountain folds, rivers, hot springs, wild flowers, rare trees and some ancient ruins. I learned, by living it, that the island also preserved a generous culture that is rich by its very simplicity. When I returned to the United States after a year, I was like a deer caught in the headlights, watching how many friends, many of whom are very successful, were struggling with stress, relationships, health issues, etc. I felt that Ikaria, what it can teach us about life’s exploration and healthful living, was too great to keep to myself. Culture Change: How is Ikaria different from the other islands or the rest of Greece? Charlene Caprio: Don’t expect a four-star package experience. 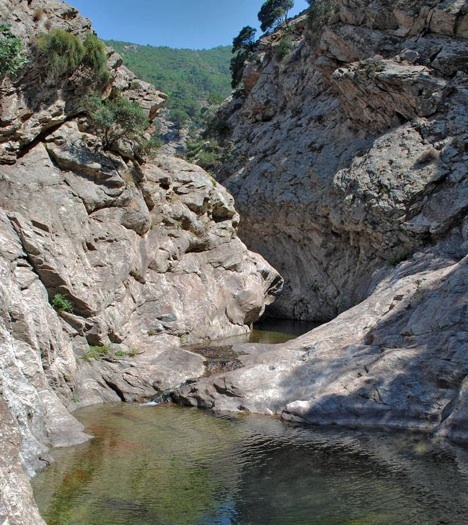 Ikaria is different because of its unspoiled terrain that offers amazing exploration. Many villages are essentially hidden in the terrain, and with some curiosity, adventure and this guidebook in hand you can experience them. 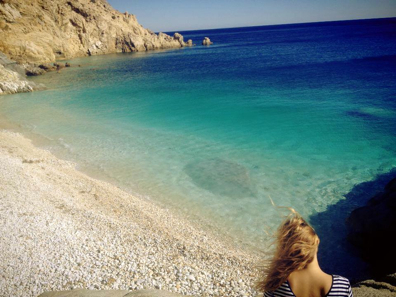 Ikaria’s beaches are plentiful, and some of the best ones are in remote areas. Ikarians enjoy a serene disconnection with the rest of the world. The local culture, as you can imagine, is a bit eccentric. In the village of Christos, for example, shops and cafes can open late in the evening. The island’s all-night panigiria festivals evoke the island’s Dionysian spirit. The special Ikariotiko dance and island music are praised throughout Greece. Culture Change: Who do you think will pick up this book and want to go to Ikaria, and why would they? Is it a certain kind of person, or could it be just anyone? Charlene Caprio: Ikaria is for travelers who want to explore beyond their own current knowledge points. It can appeal to people who enjoy locally grown foods, the sounds, smells and colors of nature, the shoaling waves, and feeling connected while disconnecting from the rest of the world. Travelers who find joy in swimming, in walking a riverbed, visiting the island’s hot springs, looking up at a sky filled with endless stars, or exploring the island’s ‘anti-pirate’ architecture, will probably love Ikaria. It is family-friendly and locals are very hospitable. Vegetarians will love the local vegetable dishes; meat eaters should taste the katsikaki. Culture Change: If a first-time traveler is going to Greece, and the stay was limited to two weeks, would you recommend one week on Ikaria and the other week around Athens to see the Acropolis, museums, and experience the modern metropolis? Charlene Caprio: I would recommend three days in Athens, at least a week on Ikaria, and three days on another island. This will give a visitor a good overview of the diversity in Greece. In Athens visit the Acropolis, do a city walking tour, and don’t miss the New Acropolis Museum. Also see the Benaki Museum and walk through the Plaka. 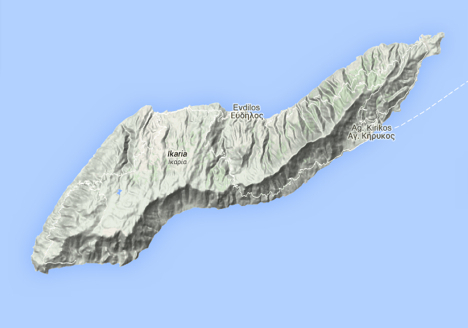 From Ikaria it is possible to get to Crete (by plane) and to many other islands via the ferry lines. Culture Change: How is the Greek economic crisis in the eurozone affecting Ikaria? Charlene Caprio: Interestingly, Ikaria offers a bit of an oasis from the harsh conditions of the Greek crisis. As food is locally grown and winter storms split apart trees (creating felled wood for heat), Ikarians can keep their living costs low. Like elsewhere in Greece, the roads are emptier because petrol is expensive for Greeks. Some Ikarian stores have had to close due to the new taxes. But in general, Ikarians have managed to maintain their simple lifestyles. 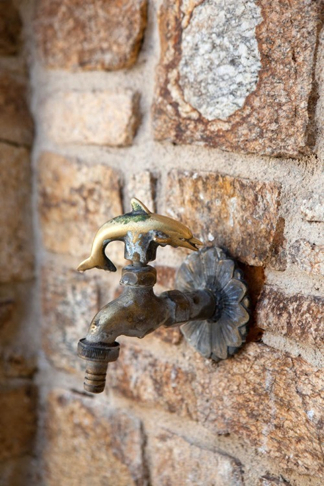 Culture Change: Is Ikaria threatened by development or pollution such as the plastic plague? How much is the problem from the residents themselves, compared to how much from visitors or the outside word? Charlene Caprio: Ikaria is a simple and economically poor island. It has infrastructure problems like waste management. You will see rotting cars dumped alongside roads for lack of a better alternative. Overgrazing is a problem due in part to prior, badly planned EU subsidies. Also, in the summer, tourists abuse the island with plastic waste. Camping is illegal, but you will see tourists camping at the ‘protected’ Chalari River canyon and throwing debris all along its waters. I can’t tell you how much this pains Ikarians. When there are only a handful of police on the island, it is impossible to combat human misuse. The best solution is for visitors to respect the island and to do their part to protect Mother Nature. Culture Change: Do you plan other books? Guidebooks or otherwise? 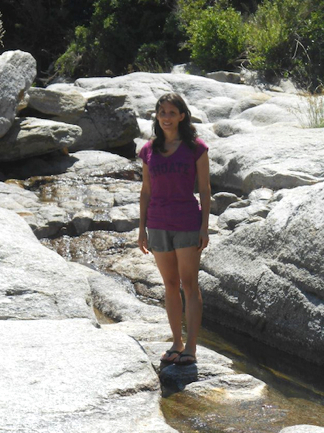 Charlene Caprio: I would love to showcase another place, or to help others do the same. It of course requires extensive research, knowledge, and exploration. Lefteris and I are considering new joint projects at the moment as well. In the meantime, I am focusing on completing a mystery novel that will lead readers on a “Da Vinci Code type of mystery across the Greek islands. Culture Change: Is there anything else you would like our readers to know? 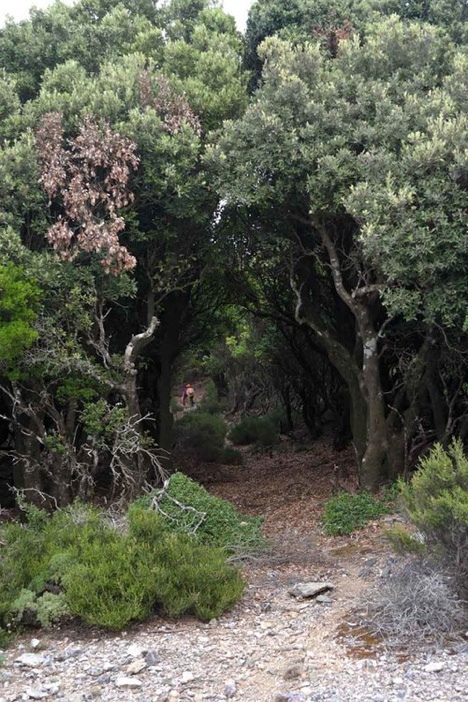 Charlene Caprio: I feel privileged to help guide people to Ikaria Island, to help people take a break from their lives to see what this island represents and can offer. For any questions, please take a look at ikariaguidebook.com, and our Facebook page at ikariaguidebook. Or send me a personal email at Info "at" ikariaguidebook.com. Thank you Jan for your interest and help in getting the word out. 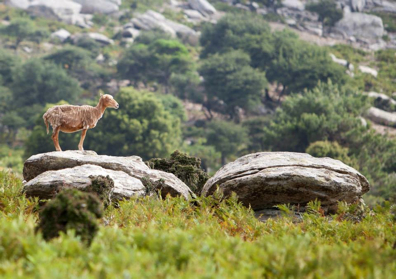 All photos credited to Ikaria Guidebook, shot principally by Charlene Caprio, Peter Wan, Lefteris Tsouris. I loved the interview!It really told me a lot about Ikaria. I aam also enjoying the book, which makes me feel like i am really in Ikaria. Good luck on your next book, Aunt Charlene!!!! !